Should you rent or buy a home in Portsmouth NH? As long time Portsmouth NH Realtors my partner Ann Cummings and I feel a big part of our job is to furnish correct and timely information to our clients in order for them to make the best decisions. 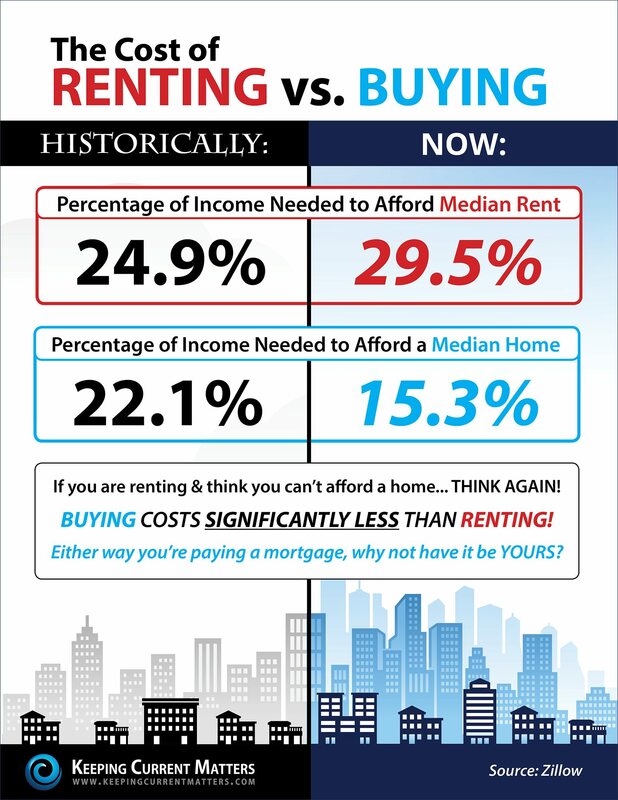 As the inforgraphic below illustrates, rents have risen consistently over the years and will likely continue to do so. Rent vs. Buy, which is best for you? Historically buying has almost always been the best financial decision versus renting or leasing a home. Are you looking for some direction for your Portsmouth NH or New Hampshire Seacoast housing needs. Give Ann Cummings or Jim Lee a call or email today and let’s schedule a no obligation, no pressure meeting to find out which is the best directions for you. Visit our home search website: NHCoastalHomes to see all the New Hampshire Seacoast and southern Maine homes for sale.